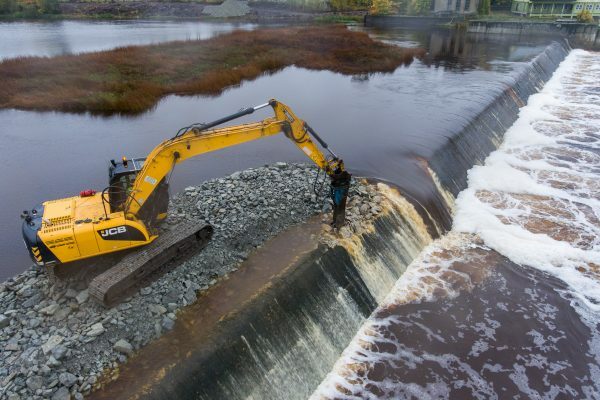 It took 3 years but finally a 151m wide and 4,5m high dam will be removed in Estonia! 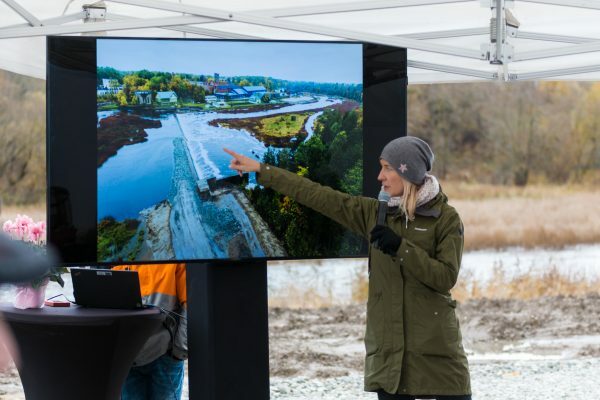 This is part of a larger 15€ million project that will help restore a historical salmon migration route and riverine habitat. The Pärnu River basin in Estonia covers an area 20% the size of Estonia. The river is 144 km long but together with the tributaries (270 rivers and streams) it makes up a 3300km river basin! And this river is the biggest historical salmon river in the country with a potential twice as big as the other rivers altogether to improve salmon populations. However, a big obstacle stands in the way of migrating salmon—the Sindi Dam. This 151m wide and 4,5m high dam is the first migration barrier within the river (14 km from the sea) so removing it will effectively open up the river basin! Which is just what project manager, Külli Tammur and team are in the works of doing. The idea to remove the dam first came about because the dam blocks the historic migration routes for salmon. Moreover, the dam was also in violation of an Estonian state policy that aims to protect and conserve natural habitats. To remove the dam, however, the government had to buy the land and dam itself for 1,3 million euros! Only then could they begin plans to remove the barrier. These plans initially started in 2015 but were off to a slow start as it was difficult to get everyone on board. The dam offered an artificial lake where local people enjoyed swimming and thus taking away their outdoor pool was a huge obstacle to overcome. However, the project team came up with multiple visions for how the community and environment could look like once the dam was gone. 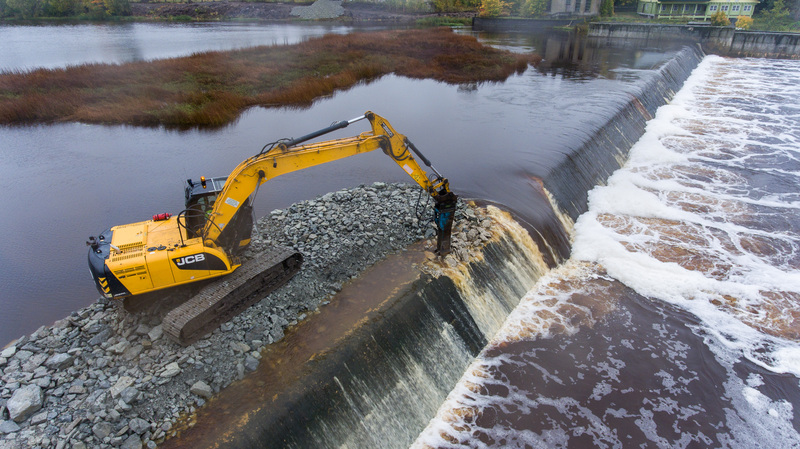 The final vision includes excavating the river a bit so it could be deeper and easier to swim in, creating pathways for walking along the river banks, leaving a rapid for recreational kayaking, and now it will be legal to fish there! Just collaborating with the local community and finalizing the vision took 1,5 years to complete before they could officially begin on the project. The event was attended by firemen in honor of those who had fallen from the peril of the dam. 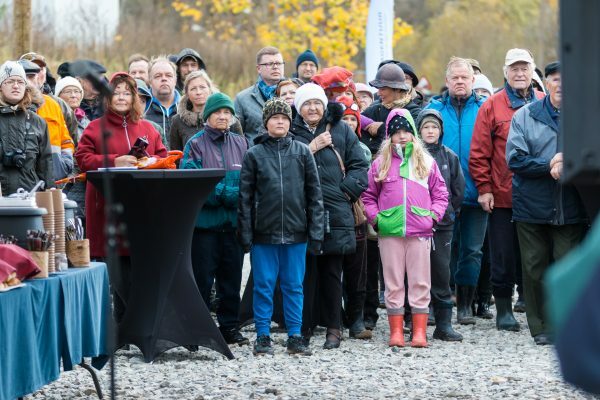 Approximately 200 gathered on a cold october day to celebrate the opening of their river. Külli Tammur giving a presentation about the river restoration project. One of the guests included the Minister of Environment of Estonia (right) . Starting the works on the Sindi Dam Removal. View of the Parnu River showing the length of the Sindi Dam. Finally, on Wednesday, October 24th 2018, project manager Külli Tammur welcomed over 200 guests to attend the Sindi Dam removal event. The event was attended by local schools, government representatives (including the Minister of the Environment! 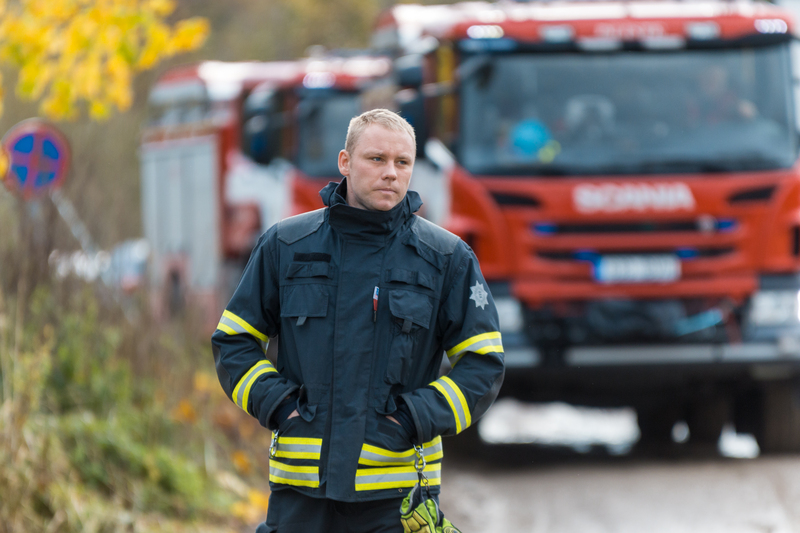 ), scientists, people and organizations involved in fisheries and nature protection, and even firemen. Actually, it was an emotional moment for the firemen as this dam took 11 lives in the past 40 years, including one of their colleagues. Many are happy to see it go! The actual construction started to take place in August 2018 as they had to construct roads to the dam through the bush and underwoods that surrounded the dam just to get to it. The complete removal is expected to take three to four months to finish. Then once the banks stabilize they can continue with the rest of the project including the new recreational activities for the local community. Then, they will also continue removing 9-10 more dams along the river basin! The total budget for the project is 15 million euros. The funds came primarily from the EU’s cohesion funds and the rest was state funded as Estonia has regulations in place requiring protection of natural resources and habitats which includes many rivers. This budget allows the project team to not only remove this dam but the 9-10 other barriers as well! 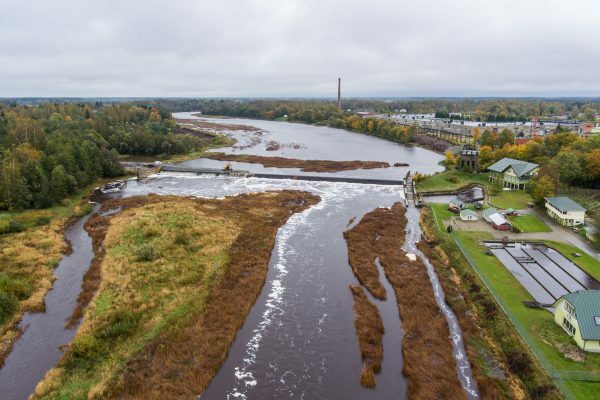 Once the project is complete, this will effectively open up the 3300 km of river basin in Estonia! 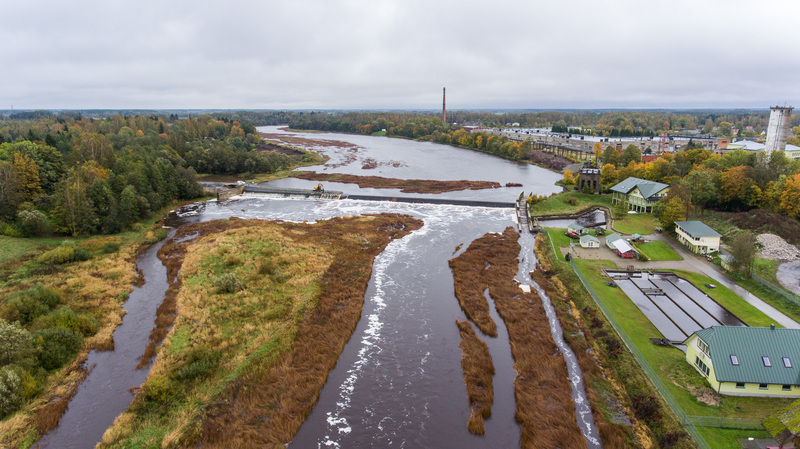 That makes it the largest river restoration project in Europe to date! And because the river is monitored every two years it will be exciting to see the results of the new salmon populations and how the hard work put in today, will see benefits for generations to come. 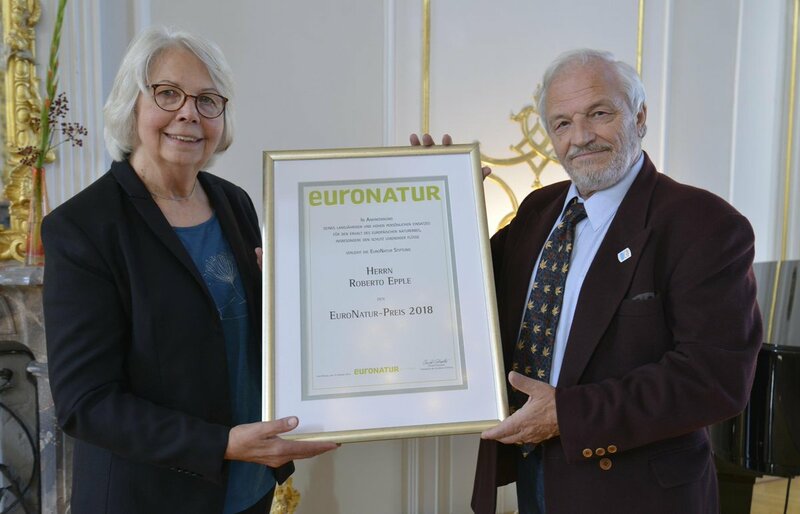 Excellent news for Estonia and an excellent showcase for healthy and free-flowing rivers in Europe!